The cornerstone of the Alphabet empire is software, and more particularly its search algorithm that allowed its iconic search engine, Google, to crush the competition in the early 2000s by seizing 90% of the world market. A success as much due to its simplicity of use as to its efficiency, and it was one that Alphabet replicated in internet services. To wit, Chrome. Launched in 2008, nearly four years later it had become the most used browser in the world ahead of Microsoft Internet Explorer and Apple Safari, and held, in 2018, a 70% share of the market. Its email service, Gmail, is one of the three most used worldwide, and as its mapping service, Google Maps, is the online industry-standard. Alphabet also knew how to sniff out a good bet on major emerging trends. In 2000, the company launched the AdWords service, anticipating the explosion of online research and advertising. The service is based on a simple principle but a formidable efficiency: the auctioning of keywords used by searchers on the web. AdSense (which sells traffic) and AdWords have helped Alphabet earn more than $95 billion in revenue in 2017, up from $16 billion just ten years ago. By buying Android, for an amount estimated at around $50 million in 2005 (two years before the launch of the first iPhone), Google was setting foot in a sector that was then only in its infancy: that of smartphones. Unlike Apple, which has stamped its mark on the hardware side of the smartphone revolution, Google has focused on software. Today, its operating system equips 75% of smartphones across the planet, far ahead of Apple's iOS (20% of the market). 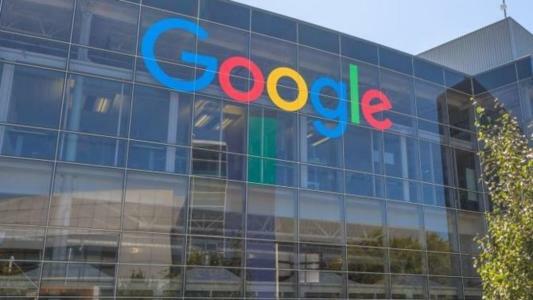 Other acquisitions, such as those of YouTube in 2006 and Waze in 2013, have allowed Alphabet to stay ahead of the pack in video streaming and GPS navigation, making the company the emperor of internet software. An empire built with acquisitions – more than 220 since 2001. Since 2013, Alphabet has focused its acquisition policy on artificial intelligence, with the acquisition of some fifteen startups specializing in the field. Among them Britain’s DeepMind, acquired for $628 million, which has made Alphabet a major player in the race for artificial intelligence. One of its AI offshoots, Alpha Go, became known to the public in 2016 by defeating the world Go champion, a game known for the complexity of its combinations. Beyond games, Alphabet has used DeepMind to advance its pawns in the very promising and controversial sector of AI-applied health – a market that should reach $36 billion in 2025 against $2.1 billion in 2018, according to a study by Markets&Markets. Alphabet, which invests heavily in health through its subsidiaries Calico and Verily, believes in artificial intelligence's ability to assist physicians with their diagnoses and patients and in tracking a disease’s progress. For example, DeepMind Health has partnered with the UK's National Health Service, to access data from millions of patients. What is the purpose of this collaboration? Improve the diagnosis of ocular and hepatic diseases. The Mountain View firm also relies on image and voice recognition, automated language processing and deep learning to improve its marketing and advertising targeting, and therefore its revenues. And that's where the hardware comes in again. If software has been the making of Alphabet, the company has regularly been tempted by hardware, with mixed results. The iconic failure of connected glasses, Google Glass, remains in everyone's memory. The buyout of Motorola's mobility branch in 2011, then its resale to Lenovo in 2014, and the partial acquisition of HTC in 2017 have been the subject of much publicity. Despite these acquisitions, Alphabet has never managed to make a smartphone, Nexus or Moto, capable of competing against Apple, Huawei or Samsungs’ models. Yet, Alphabet's interest in hardware has never wavered and has in fact grown in intensity since 2017 with the development of AI. The Mountain View firm "is no longer mobile first," says Bodgan Petrovan, Europe's chief editor for Android Authority. “It's now an AI business. And good artificial intelligence – of a kind that is quite different from magic – requires tight integration with hardware, software and services." Hardware has a central role to play in Alphabet's future. This is confirmed by Rick Osterloh, president of the hardware branch of the group: "There is a clear border between the technology we were working on twenty years ago and the technology we are developing today. The big advances occur at the intersection of AI, software and hardware, which work together. It's this approach that makes Google's hardware experience so unique, and why it offers many benefits. When we think of artificial intelligence in the context of consumer hardware, it's not at all artificial; it helps you to perform real tasks on a daily basis. For instance, a shorter commute to work, a beautiful holiday photo, or a faster response to an email." Artificial intelligence is a reinforcement of other products and projects developed by Alphabet. Personal Assistants, speakers and other connected objects are indeed the software's new playground. It is also the new battleground on which the GAFA and BATX are fighting. The challenge is twofold. On the one hand, sales of hardware products must be increased by highlighting the advantages of software doped with artificial intelligence. On the other hand, having a greater role in our daily lives to collect more and more data on purchases, health and the daily movements of their users. This can be seen in the pair of personal assistant/connected speakers developed by Amazon as well as by Apple (Siri/HomePad) and Alphabet (Alexa/Echo). The Mountain View group has already sold more than 50 million of its Google Home speakers that allow you to use all of its services (search engine, Gmail, YouTube, etc.) through voice control. Hardware is what supports companies that are increasingly invested in AI, and Alphabet is no exception. What is emerging is a future in which the services and products of Alphabet and other members of the GAFA/BATX will be increasingly integrated and omnipresent. This strategic alliance between hardware and software is already paying off for Alphabet: hardware should bring it $19.5 billion in 2021, against $8.8 billion in 2018, according to a study by investment bank RBC Capital Markets.